So one of my favourite local stores is Menarys....it's family run with a bunch of shops both North and South of the border and all I can say for readers based over the water is that you're missing out. It's just one of the best wee shops to go to with almost everything you could need from homewares to clothing, high-end make up counters to shoes. Oh, and the most fantastic bedding department - all under one roof. I spent lots of time there last winter when we were doing up the house as their sales are pretty epic and the good news is that the winter sale has just started so I thought it was good timing to share some of the things I tried on and bought when I was in-store last week. Starting with my weakness - coats. I really can't seem to stop buying although I do always sell or donate one every time I get a new one now as I just don't have the space anymore to store them. This first camel one was a surprise as it looked even better on than it did on the hanger. It's from Vero Moda. as was this pale pink funnel necked one. Neither colours are ones that normally suit me but I'm blaming the spray tan for making them all look so good on! 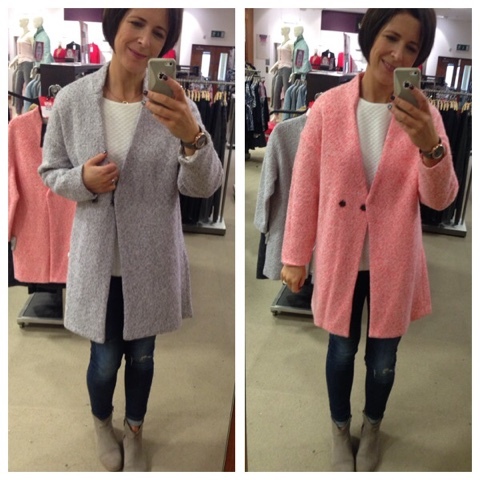 I then tried this collarless coat from a new brand that the store have just brought in. 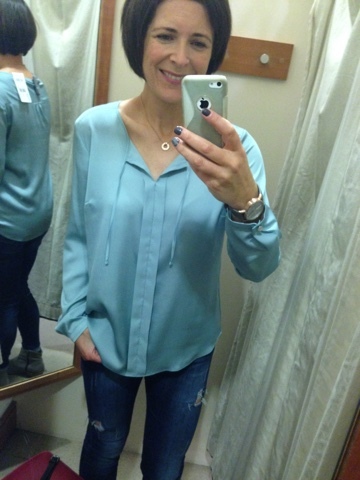 It's a wool mix and was only £56 in the sale when I tried it on. It comes in grey and pink/orange. I could have happily bought both! Into the fitting room next to try on this dress from Only which I loved as soon as I saw it. It's got an open, cape style back to it with a lace underlay so it looks like a skirt and top but is actually a dress. There's a lovely sparkle detail to the skirt but it's not too blingy so this dress is going to work really well for choir gigs...and in fact has been worn a couple of times already. 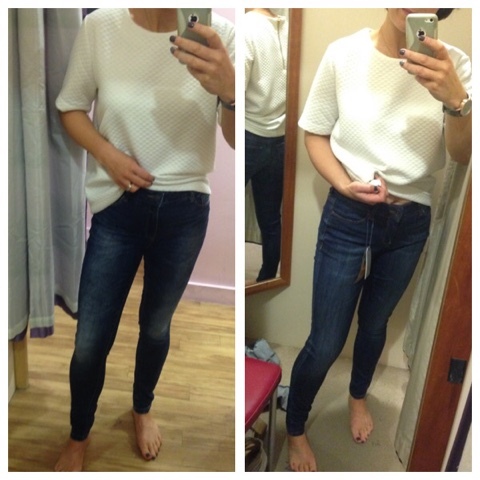 I don't need any more jeans in my life but I tried on a pair from Vero Moda and Esprit for research - both lovely on...the VM ones probably worked better on me as they were a bit higher waisted. 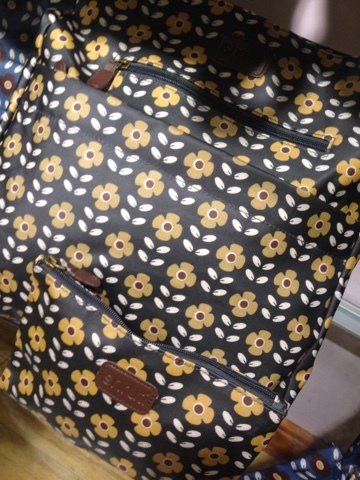 I mostly hang out downstairs in my local Menarys as that's where all the younger brands are located but there are two brands I always take a look at upstairs - Esprit and Gerry Weber. 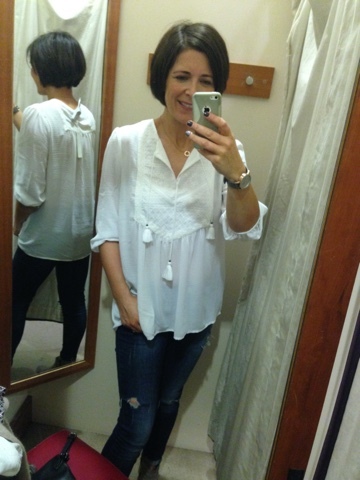 I've bought quite a bit from Esprit in Menarys - including my leopard coat that I'm always asked about - so it was no surprise that I fell for a couple of tops with this cream boho style top coming home with me. 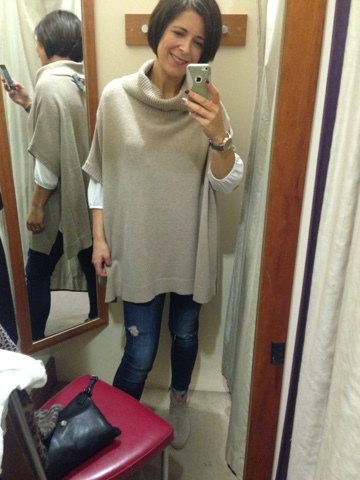 It's a bit like a poncho but has arm holes, making it far easier to wear. It was hugely reduced too. Then to finish, I was back downstairs looking at handbags, which my friend Keith is the buyer for (dream job anyone?!). 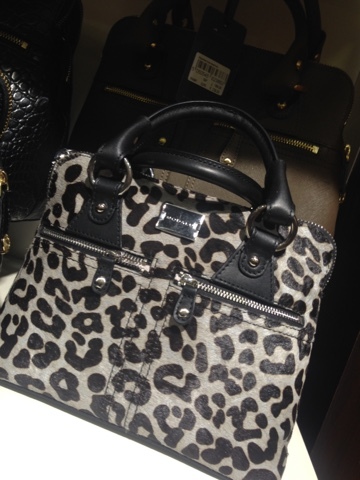 The store stocks Modalu (a favourite of Pippa Middleton) and I loved this mini 'Pippa' bag in grey leopard. 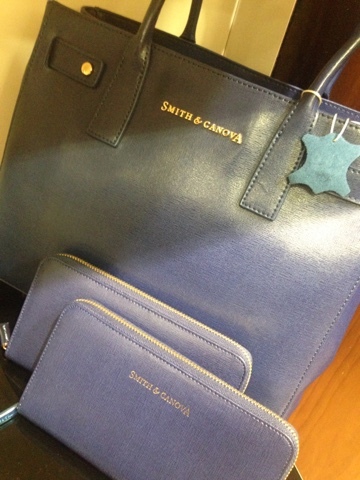 The Smith & Canova brand was a new one for me and it was well priced in lovely quality leather. 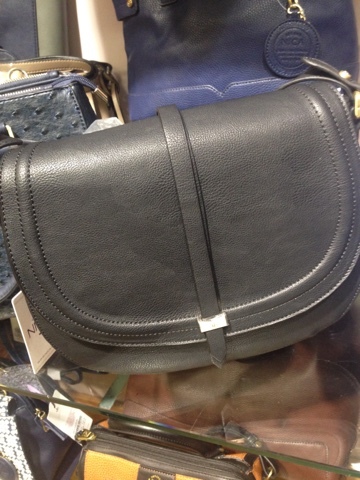 But the brand that impressed me most was Nica - not leather but the quality is great and I especially loved this black cross body that was more than a nod to Chloe. It came home with me too - a lovely gift from the team at Menarys. 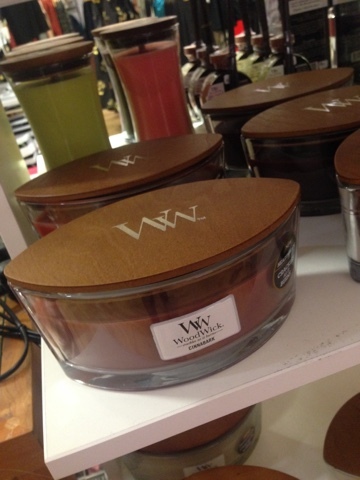 Last purchase for me was a Christmas candle from the Woodwick range (Cinnabark). These candles are amazing with a long cracking wick....I've been a fan since a friend bought me one a couple of years ago. Check them out if you see them. 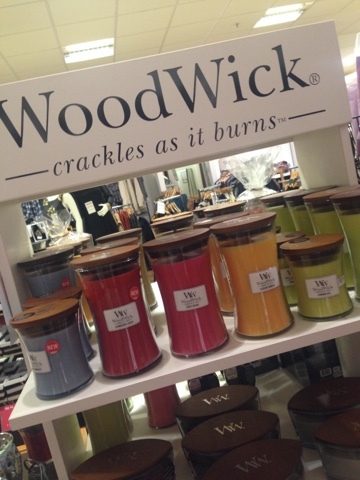 Sorry if you're a Yankee fan (which Menarys also sell incidentally) but Woodwick ones are miles better! Have I convinced you that this is a store you simply *need* to check out if you're lucky enough to have one nearby? A worthy Local Hero and the perfect place to pick up your last few Christmas presents this week. Disclaimer - Not a sponsored post! I was not paid to write this and all the words are my own. Hi please can you tell me where the grey boots are from ? Also - have I missed your blog on grey boots? 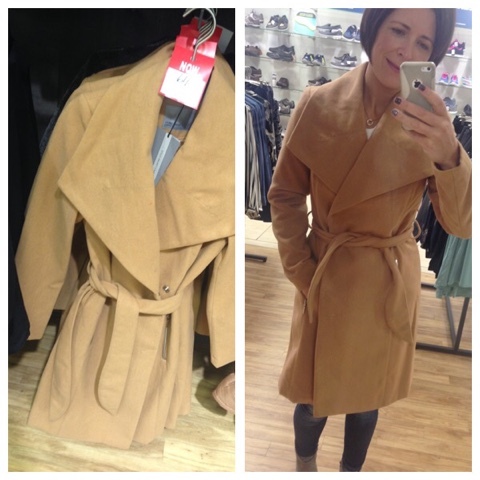 I can never resist a coat bargain either! Did you buy either the grey or pink one in the end? The dress is gorgeous - excellent buy! Back staying with sister near Lisburn for a few days this Xmas so might get a chance to visit Menary's. So many of the old family run department stores have been bought out by Debenhams in England which makes them like everywhere else.